PI4C is the call sign of our amateur radio station. Our radio station uses WW2 and other vintage equipment. The main aim of the radio room is to operate items of WW2 radio equipment. The station goes on the air every Saturday when the museum is open. 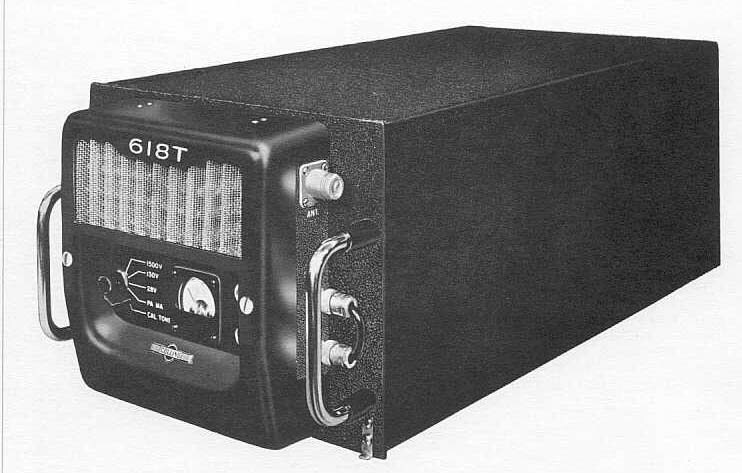 It is also on the air every Wednesday with the 618T Special Interest Group net. The centrepiece of the radio room is this WW2 RAF Wireless Operators table, complete with R1155 receiver (bottom) and T1154 Transmitter, (top) and a Fishpond indicator (left hand side). 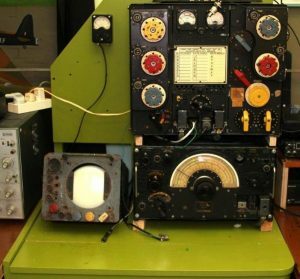 This equipment was used in the latter part of the war for long distance morse-code communications between Bomber Command Group Headquarters and aircraft in the air Underneath are the original ground power supplies. 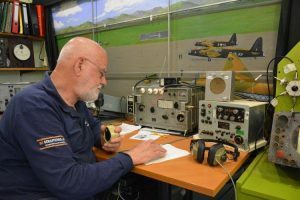 The transmitter and receiver have been restored to full working order, and are regularly on the air on either the Dutch Surplus Radio Society’s frequency of 3705 kHz, or the UK VMARS frequencies of 3615 and 7073 kHz. A more modern transceiver used here is the high power Collins 618T 400w SSB aircraft transceiver. This is used on all the amateur bands for world-wide, as well as local communications. It is used every Wednesday afternoon on 40m for the 618T Special Interest Group net. Also able to work on AM is a fully working Signal Corps AN/GRC-9 with high power LV80 amplifier and a German SEG-15 transceiver. Special events are held regularly. In the past the station has used the special event call signs PH6CRASH, and PH6SPITFIRE. 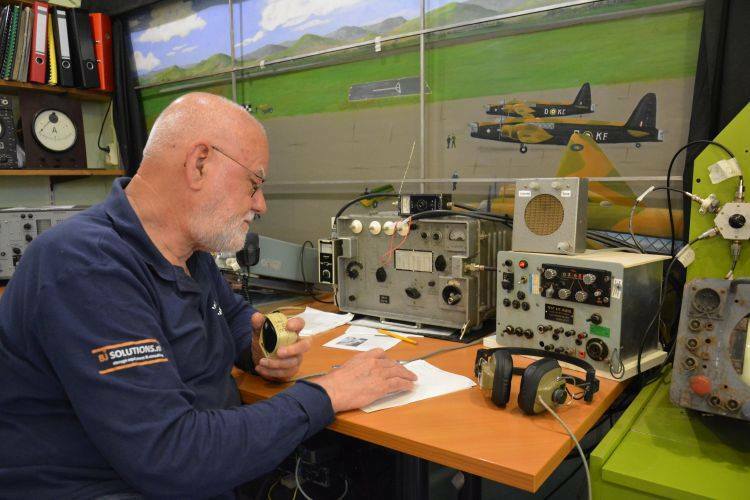 Regular licensed users (some of whom are also all owners of a 618T transceiver) are De vaste operators zijn: Anton PE1JAS, Geert, PA7ZEE, Gerard, PA3GRK, Gerrit, PA0GJC, Herman, PH1DTC Trevor, PA3BOH, and Maurice PD4MVG. Most of the users here are also members of the Dutch Surplus Radio Society (SRS). In the display area are several British and American sets such as an R1132 VHR receiver, an American SCR522 VHF transceiver, a US Navy RU receiver and GF transmitter, US Air Force Command sets, and a British Army WS-19, a Army WS-62, and an Army R107 receiver. In the rest of the museum are parts of equipment retrieved from crash sites, including parts of an R1155, TR9, TR1143, Gee set, and other miscellaneous radar and electrical parts. PI4C is on QRZ.com with links to the museum. For more information on the R1155 and T1154 please click the photo.